I am not normally into Goth Metal or Goth Rock scene... but I always am up to giving any heavy album at least a listen. Now with a band that I had only heard about in passing over the years now being placed in my disk player... I am glad that I have that chance to give a real listen to. I was struck with how good this Germany’s Crematory is, to the point of actually being able to say that I was thoroughly blown away. They are as heavy as any metal band on the planet can be, fuelled with the right amounts of darkness and light as they create a atmosphere that is very hard to ignore. Contrasting rough/clean vocalists seem to weave through the gloom that the music pulls out. Despair and loathing mix freely through the whole album topped of with a overall feeling of melancholy that is accented by a almost overwhelming darkened anger that boosts things. Songs like the inspiring‘ Pray’ and the lyrically impressive ‘Sleeping Solutions’ are just two prime examples of a band that is so good at creating their own world through their lyrics and music... sucking you deep into their twisted fantasy world until you are actually become a part of it all. You almost see the world they created, but you seriously do feel it. Even if you are not into the whole ‘Goth’ thing... I suggest to give a listen to this album, in all seriousness. You will be as impressed as I was as you let yourself drift into a netherworld of musical sights and sounds that are like bedtime stories for demons. 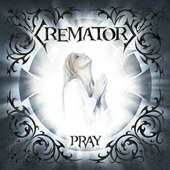 Metalheads and Goth’s alike... buy this album!! !